iheartcosmetics / 10th May 2017 / Covered in cat hair. Someone send a lint roller! 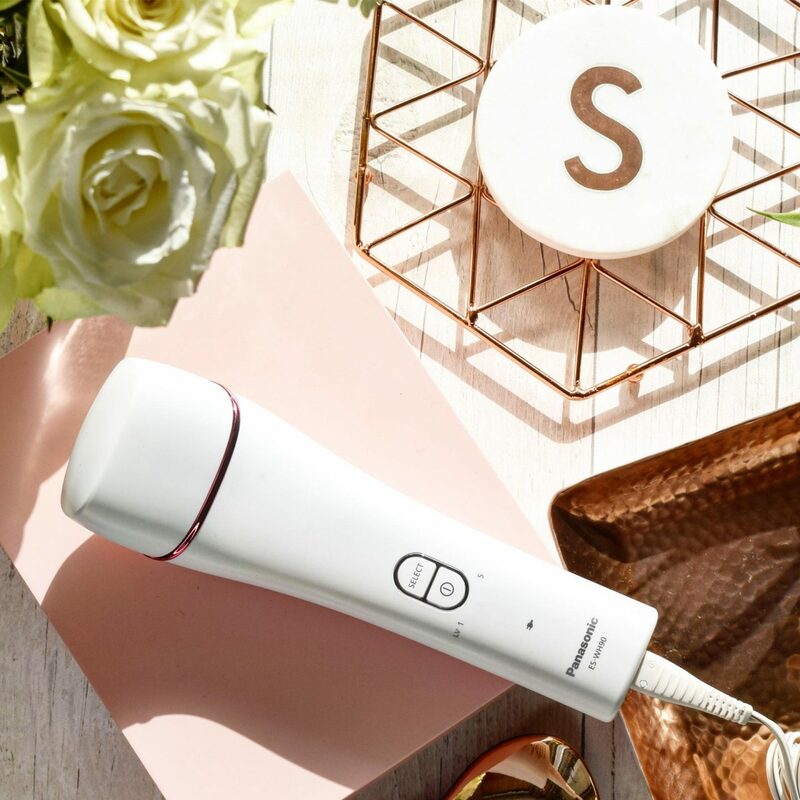 When Panasonic offered to send me their newest IPL at home hair removal system I was really excited, as while I have reviewed quite a few IPL machines and treatments before, I like to keep up to date as technology advances all the time. It seemed like the perfect answer to my issue of my underarm hair starting to make an appearance again (I had a course of laser quite a few years ago). And, since it can also be used as a facial rejuvenation IPL device, it was even more attractive as…well I am not getting younger by the day am I?! But Why DIY When You Can Get It Done In a Salon? While previous at-home IPL’s I have reviewed have been fairly simple, I have sometimes sacked off using them once a week as my brain seemed to think it was too much effort. I think the difference is that you have to somewhat make an appointment with yourself as with a salon appointment you have the accountability of having to turn up, or perhaps losing money of a deposit if you decide you can’t be bothered. I figured the easier this Panasonic IPL was, the more likely I and others would be likely to keep up with its usage, and therefore get good results. I can honestly say, it is super easy to use. And once you’ve set aside a time each week to IPL whichever area(s) you want to zap, you do realise that it’s a whole lot easier than having to go to a salon. If you get your face IPL’d at a salon it’s a bit awkward having to shuffle home on the tube with a red face. Or the trip to awkward town that is having to get your kit off and your froufrou out for a stranger to zap with a gigantic machine that looks like a robot. This is also the perfect thing for those who are self-conscious about either their body, for example, if you don’t like taking your pants off in front of someone who isn’t your partner to get your bikini hair removed or if you have female facial hair and don’t feel confident in yourself. Obviously the larger the area, the longer it will take. I did one leg just to time for an example as this doesn’t work on blonde hair and my leg hair is white. Which is SO ANNOYING! Legs – 8-10 mins/it was 5 mins for one (but am nearly 6’ft so if you’re 4ft11 it’s not going to be that long)! IPL removal system can effectively inhibit the growth of unwanted hair without damaging your skin. Intense pulsed light (IPL) is a technology that delivers an intense, broad-spectrum pulse of light. The light has a spectral range that specifically targets specific structures such as melanin in hair. The light heats the target to destruction and then the light is absorbed by the body. Just explaining as I always have to argue this point with people I speak to IRL. Which on a side note is so flipping annoying. IPL and Laser are NOT the same. IPL has that spectral range of light as mentioned above, Laser uses a single wavelength of light, not the broad spectrum. They both use light to destroy the target but in different ways. If I have to have one more argument with one more know it all about this issue I may just slap someone with my handbag. 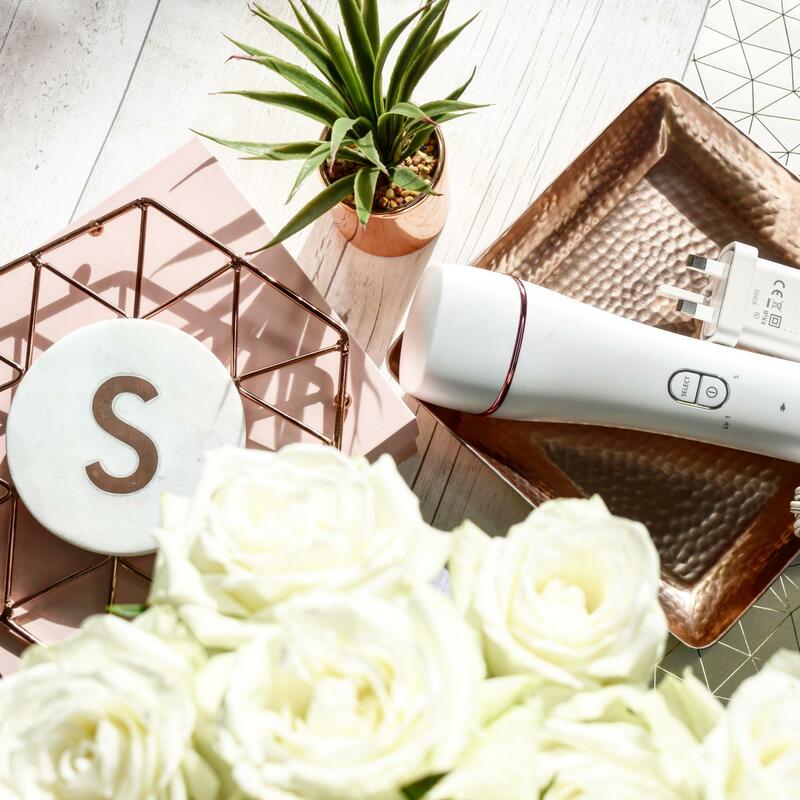 I have been using this for several months now and after a slow start, I have found a vast improvement in my unwanted hair and a slight difference from the facial rejuvenation. You can only really use IPL on mid to dark coloured hair, so blonde, white grey etc. won’t work. This is because IPL targets the melanin (pigment) in hair to destroy it. No pigment equals no colour, no colour equals no way for the light to target something it cannot pick up. Hence why I can’t use this on any facial hair/peach fuzz, legs or arms as my hair is blonde. Dark hair I do have is on my underarms and bikini line. Thankfully I had a proper course of laser years ago. But over time new hair starts sprouting from those damn dormant follicles (it doesn’t come back from the same follicle that was previously destroyed). So these sneaky hair follicles which previously had no hair coming out of it start producing hair here and there. A flipping liberty! FYI this is normally stimulated by hormones. So sometimes after a few years, you end up with some random patches. Great. I have noticed that the hair growth had slowed down pretty significantly. There were a few random hairs here and there but that could be because I had missed them on a couple of sessions etc. At the point of writing this blog post there are some thin hairs which are few and far between, unlike the more coarse hair before. Not sure why it’s changing strength rather than just going away…especially since the hair on my head is so thin. I do sometimes think my body is having a laugh at my own expense. I use this machine less often now, simply because I don’t need to use it as much as the growth has slowed so much…it still grows but nothing like before I started using this machine and I will continue. Facial rejuvenation wise it started off by giving me dry skin, which I was a bit freaked out about. On looking into it and asking my dermatologist I was told this is really common and to slather on moisturiser. It would be good if they put this in the Panasonic leaflet as I did panic and think I’d burnt my skin but after a week or two, it got used to it so it must just be your skin adjusting. This is a pricey item, it costs £349.99 on the Panasonic website. BUT it’s priced at £169.99 on Boots website here. You also need to be aware that this isn’t going to work immediately. If you think it’s going to be a magic wand you will have the wind knocked out of your sails a little. It is worth using. But you need to understand that it will take repeated usage to show results. If you’re cool that it takes time to work and even when it has been used for a while the hair will still grow, all be it much more slowly and you can afford it then yes I totally recommend it. Have You Ever Used an IPL Machine? What Did You Think? Covered in cat hair. Someone send a lint roller!